Morning - just in time for the new challenge of the year from the ladies of the Style Not Age collective. I just had to style this vibrant knitted piece, my ideal winter jumper. You see it's cashmere and my first ever at that. I saw this whilst lingering in Florence and Fred just before Christmas, I'd dropped a car to be valeted whilst picking up some dinner ingredients. Returning some 45 minutes later it still wasn't finished, so having already stopped for a hot chocolate (with cream and marshmallows - naughty) I decided to spend a few more minutes looking at the clothes. After spotting and liking it I toyed with buying one so someone else could give it to me for xmas, I ended up taking a photo and spread the prompt on our family Whatsapp. Fortunately for me hubby picked up on it (with help of youngest daughter) and bought it! I hadn't realised quite how special a cashmere sweater is, so soft to touch but still warm and snuggly. I've not washed it yet, but have heard they're a dream after tumble drying, fingers crossed that's right. With a passion for pink, this was a good choice for me. Choosing white jeans to show it off, which along with black boots and my new faux leather jacket becomes so wearable in winter. Now shall we take a peek at what my friends have bought to the party? Anna our jumper temptress managed to find time for our challenge in-between Christmas & her latest trip to Cape Town. Catch all the goings on over on her blog Anna's Island Style. 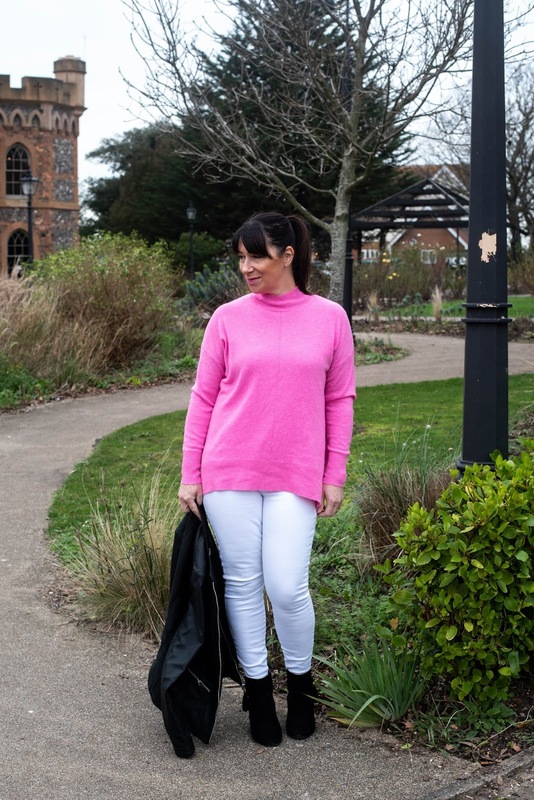 Love the splash of pink Hun, your boots would look fabulous with my jumper too! 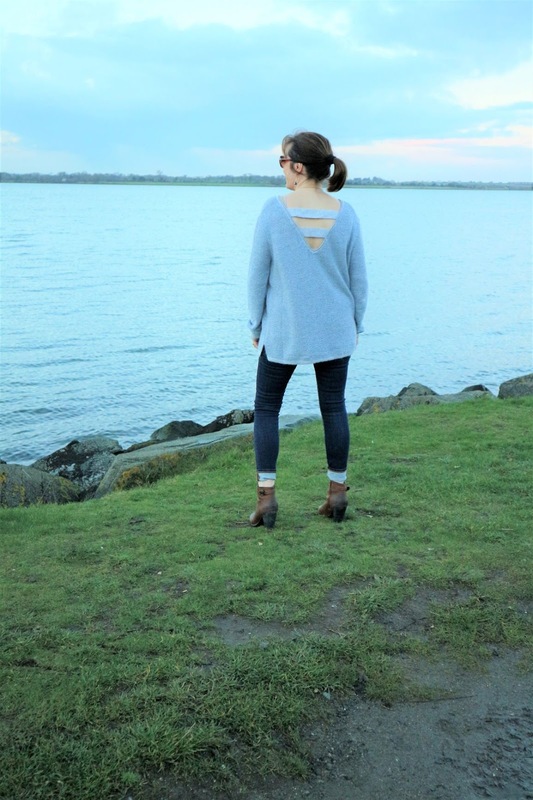 Hilda's choice pairs dark jeans with a striking pale blue long line jumper that has an attractive back detail. Roll on the spring I say, when Hilda will be able to wear her knitwear and show it off to the full. See more on her blog Over the Hilda. 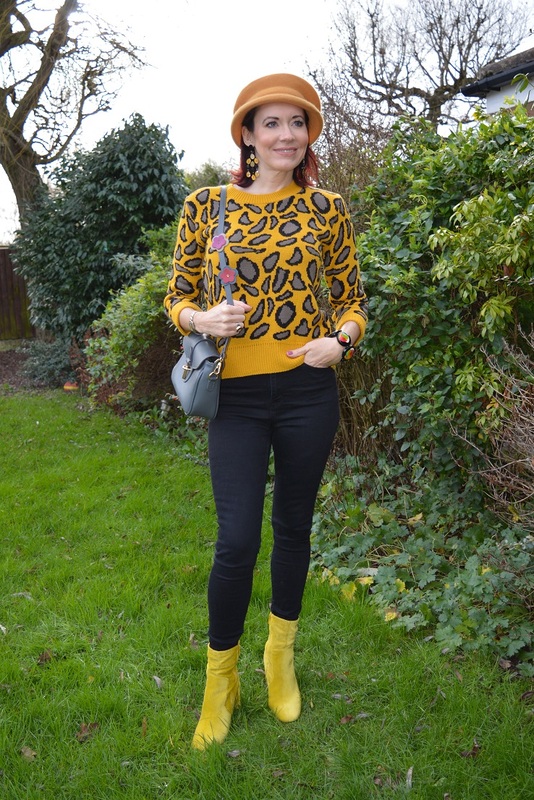 Emma from Style Splash looks hot in her mustard jumper and accessories. Although she's had a bad hair day her hat is complimenting her hair and that cute animal print-esque jumper. Just like Anna's, you had me at the boots though Emma! Beautiful shade of pink Jacqui! Don't tumble dry cashmere though...it might end up four sizes smaller! I've been told to handwash and dry flat. Hope the post-holiday blues aren't too bad. 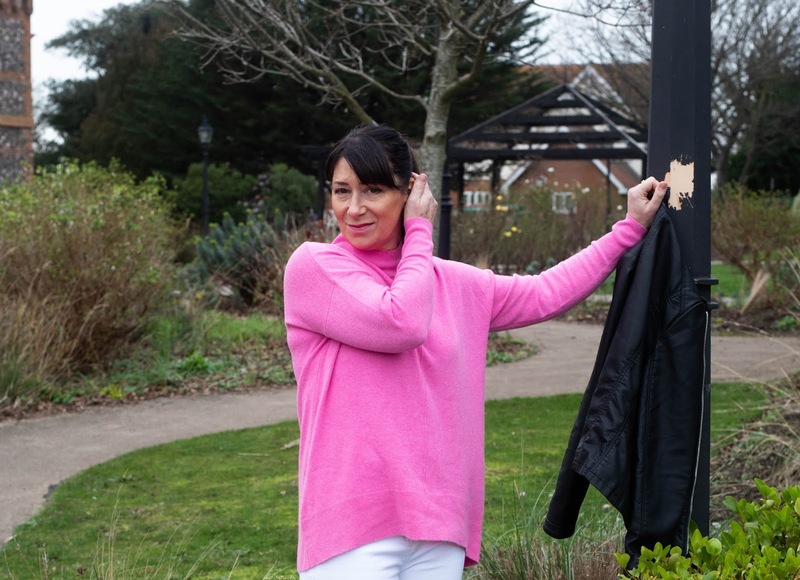 What a stunning jumper on you, Jacqui!! That really is the perfect colour on you and I just love it with the white jeans. You look gorgeous! How fortunate you found it.... and got hubby to buy it for you LOL!! 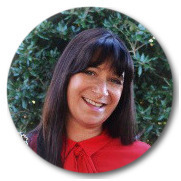 Welcome back, Jacqui! The cashmere sounds divine. I think I need to spread Whatsapp throughout our family-ha! And, I *need* to check out the red Zara jeans! Congratulations, your first piece of cashmere and in a pretty pink too. Have to say I've been living in mine so much I started tagging them #jumperjanuary2019 on Insta ... it hasn't caught on ! Oh, btw, I've never tumbled my cashmere. I LOVE your pink sweater!! 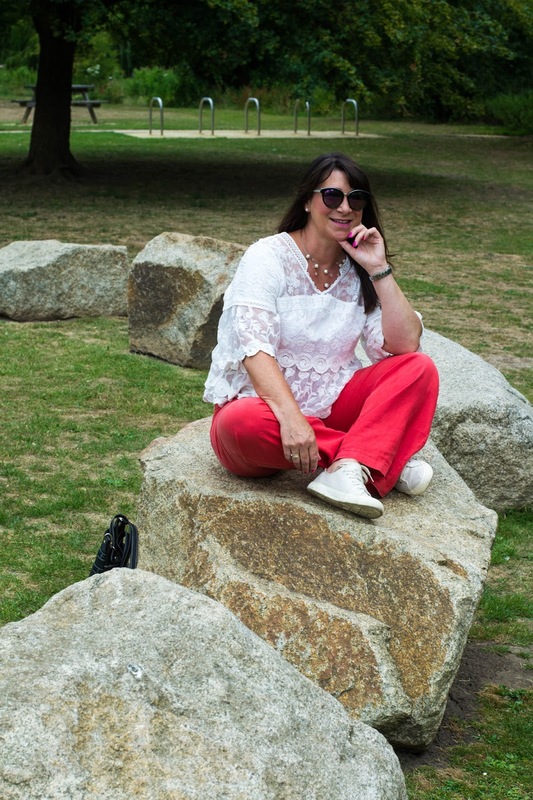 Styled with your white jeans, it is perfection!! There is something classic to the pink and white color combination. You really rock it.